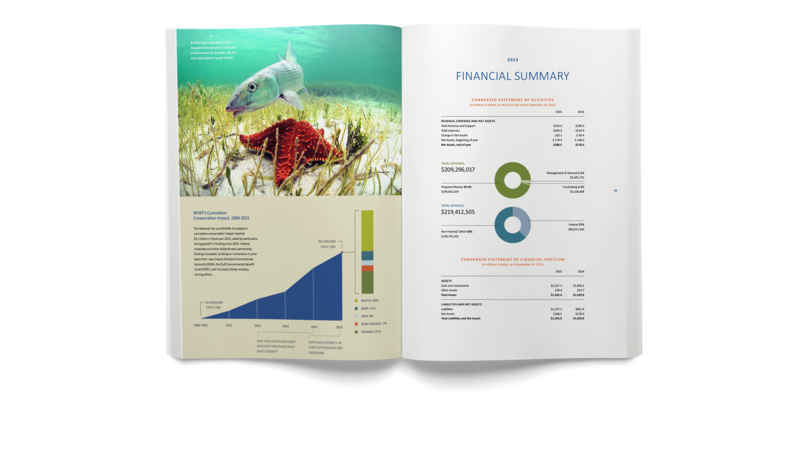 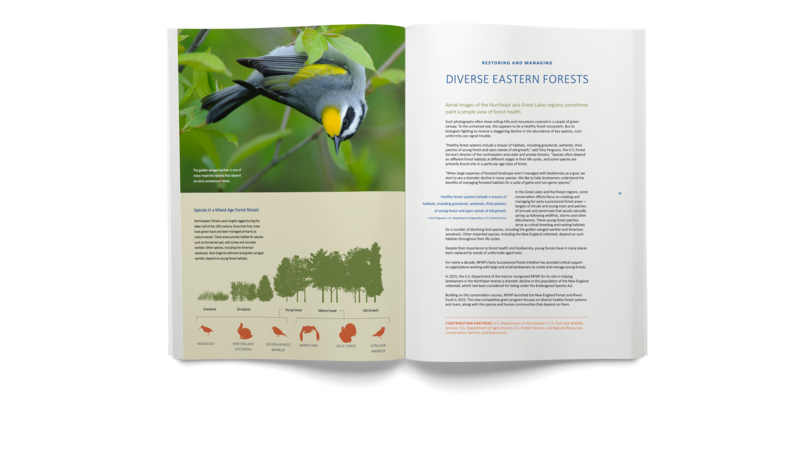 In 2015, the National Fish and Wildlife Foundation came to us with the challenge of designing their most important publication: their 2015 Annual Report. 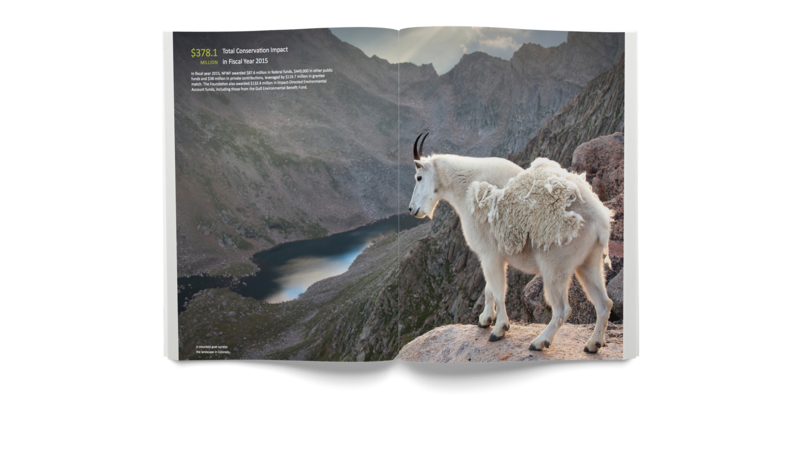 The overall objective was for the publication to be designed in such a way that all essential information was represented, while maintaining a consistent and effortless reading experience. 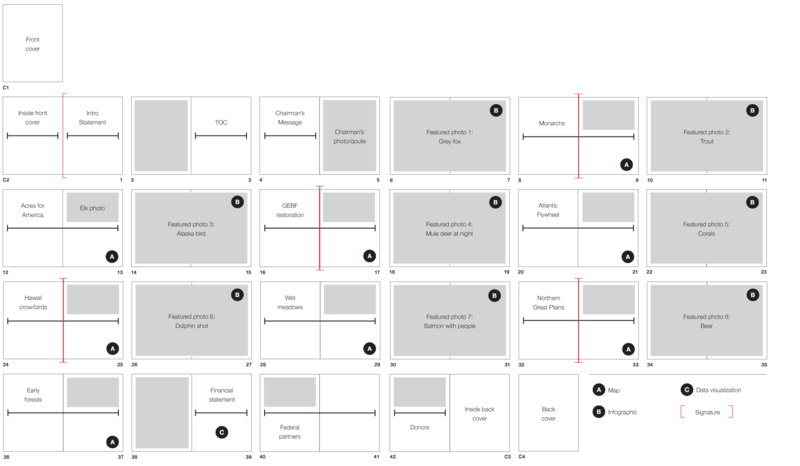 We began this project by first discussing and analyzing content priorities for the publication. 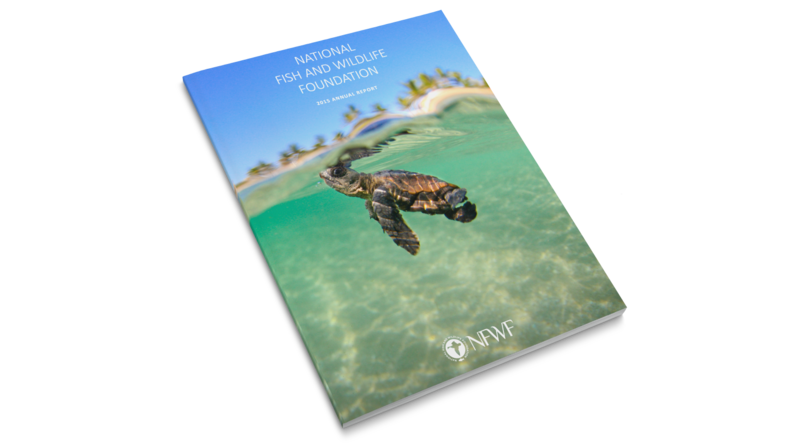 From there, we devised a content architecture that the NFWF team was able to easily fill content into, creating a smooth and streamlined process.